Even though the latest rounds of rainfall have come to an end, officials say that many roads remain flooded in Southeast Missouri. 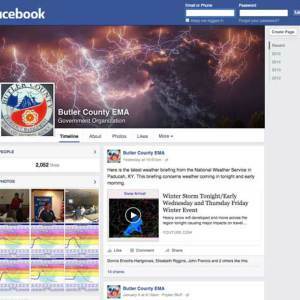 According to precipitation totals from the National Weather Service, most areas of Southeast Missouri recorded one to four inches of rain from the latest storm system, while the Missouri Bootheel and most of Northeast Arkansas received four to five inches of rainfall. According to the Missouri Department of Transportation, Highway 142 east of Neelyville in Butler County has been closed due to flooding. Flooding has also caused the closure of portions of Routes H, K, and NN in Ripley County, Route F in Dunklin County, and Route DD in Pemiscot County, among others. 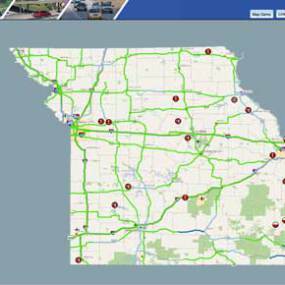 You can find road conditions online at traveler.modot.org. A Clarkton man was injured Tuesday Morning in a wreck in Dunklin County. Officials with the Missouri State Highway Patrol tell KWOC News that a vehicle driven by 34 year old Ronald Fowler struck another vehicle in the rear on County Road 229 near Campbell. Following the wreck, Fowler was transported to a Poplar Bluff hospital with serious injuries. No injuries were listed for the driver of the second vehicle. Officials at Three Rivers College and Central Methodist University have announced an expanded partnership between the two institutions. The partnership will see a four-year Agribusiness degree and a four-year rodeo team become available to students beginning this fall. For the new Agribusiness program, students will complete coursework through Three Rivers for three years, earning an Associate of Applied Science in Agribusiness as well as an Associate of Arts in Agriculture before beginning their fourth year with CMU. All courses will be available at the Three Rivers Poplar Bluff campus and will have components utilizing the TRC farm. Students on the Three Rivers rodeo team will also now have the opportunity to compete with the newly formed Central Methodist rodeo team after they transfer to CMU. The CMU rodeo team will be based in Poplar Bluff and share the arena at the Three Rivers College farm for practices and training. A Poplar Bluff history teacher has won an award for her efforts co-teaching the ‘I’m A Citizen, Too’ summer enrichment class. Poplar Bluff School Officials tell KWOC News that Junior High American History teacher Kathy Pattillo won the Smart/Maher VFW National Citizenship Education Teacher award for the middle school grade-span. The ‘I’m A Citizen, Too’ program teaches students in 5th through 8th grades what it means to be productive citizens to one’s family, community, state, and nation. Pattillo was recognized earlier this month in Jefferson City at a banquet hosted by the Veterans of Foreign Wars and Auxiliary alongside a teacher at Truman Elementary in Rolla and an educator at Pattonville High School in Maryland Heights. Authorities in Poplar Bluff are trying to identify a man in connection to a stolen vehicle investigation. According to the Poplar Bluff Police Department, a vehicle was stolen from the parking lot of M&P Liquor on January 28th. The vehicle was later recovered in Douglas County. Police officials have released a video that contains a male subject that they are attempting to identify. You can view the video on our Facebook page. Anyone who has information about the subject’s identity is asked to contact Detective Dan Mustain at 573-686-8632. A Southeast Missouri resident was injured Tuesday in a single vehicle wreck. According to the Missouri State Highway Patrol, 20 year old Savannah Fennell, of Steele, received serious injuries in a wreck on State Highway NN near Gobler. Fennell’s vehicle reportedly travelled off the left side of the highway, struck a tree, and overturned. Following the wreck, Fennell was transported to a Dyersberg, Tennessee hospital.